As we age our teeth gradually deteriorate becoming brittle, discoloured, cracking and chipping more readily. Tooth decay and gum disease can accelerate these problems. Extracting problem teeth may become the best long term option when there is no longer enough healthy tooth structure remaining to predictably support dental restorations. Deteriorating teeth that harbour bacteria can have a negative impact on general health. In the case of patients contemplating major heart surgery it may be best to remove any suspect teeth, particularly where there is ongoing and significant gum disease or latent abscesses, prior to surgery and dentures are at least an interim replacement option, if not the best option. 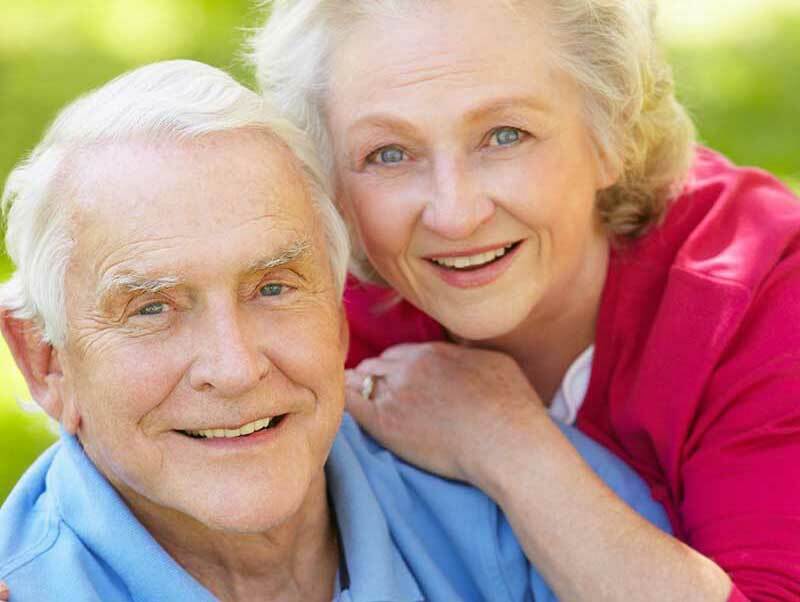 Our team at The Country Dentist are experienced in providing the best denture option for your circumstances. Whether you are missing one, two or all of your natural teeth, we can create comfortable and natural looking complete or partial dentures to help restore your smile. Partial dentures fill in the spaces left by lost or missing teeth and are attached to your natural teeth with metal clasps or devices called precision attachments. These suit patients who have lost just one or a few of their natural teeth and wish to fill in any gaps left behind. Partial dentures can be made of all-acrylic or may be built on a metal substructure with acrylic attached. The metal based dentures are retained by the remaining teeth and will require at least 4 or more healthy teeth to be a viable option. All-acrylic dentures are the best alternative in a mouth where the remaining teeth are compromised as not only are they less expensive but additional teeth may be easily added to replace missing natural teeth. Complete or full dentures replace all the natural teeth in either the upper or lower jaws or both. These dentures are suitable for patients who have lost most or all their natural teeth. It is important if you are contemplating having full dentures that you follow a good oral care regime, including brushing your gums, resting your gums by leaving the dentures out of your mouth while you are asleep, and cleaning and maintaining your dentures thereby avoiding potential gum problems under the fitting surface of the dentures. As time goes by the underlying jaw bone may resorb (“shrink”) and the dentures become progressively looser, necessitating a “reline” of the dentures to improve their fit and their stable retention in the mouth. Our gentle and caring team are happy to support you during your transition to wearing full dentures and you should always feel welcome to consult us if you have any concerns at all. Some patients find it difficult to retain a lower denture in their mouth often due to unfavourable muscle activity and loss of bone support. Over dentures, whereby the denture is secured to implants, can offer an excellent solution to the problem, with the resultant denture feeling more secure. The dentures can be retained by a minimum of two implant fixtures (screws) in the jaw bone, usually placed in the strong jaw bone towards the front of the mouth. Once the implants have integrated with a strong bond to the bone either a metal bar is anchored to them to create an attachment for the denture, or the fitting surface of the denture can be fitted with small sockets and “o-rings” to anchor onto ball shaped abutments that have been screwed to the implants. that best suits your needs and your budget.